Accelerate the melting process by adding pre-wet to your snow and ice control operations in Fargo. The PWS-175 and PWS-225 pre-wet systems fully integrate with the SnowEx SP-8500, SP8550, SP-9300 and SP-9500 hopper spreaders. This means the flow automatically adjusts according to the spread rate, ensuring the right amount of brine is applied to the salt just before it hits the spinner. 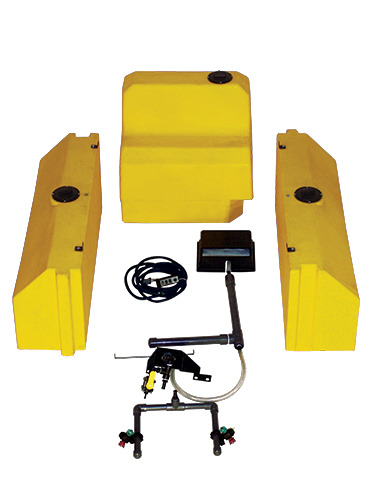 In addition, these versatile systems also come with nozzles to apply brine directly to the ground, allowing you to add anti-icing to your services and get a maximum return on your investment.